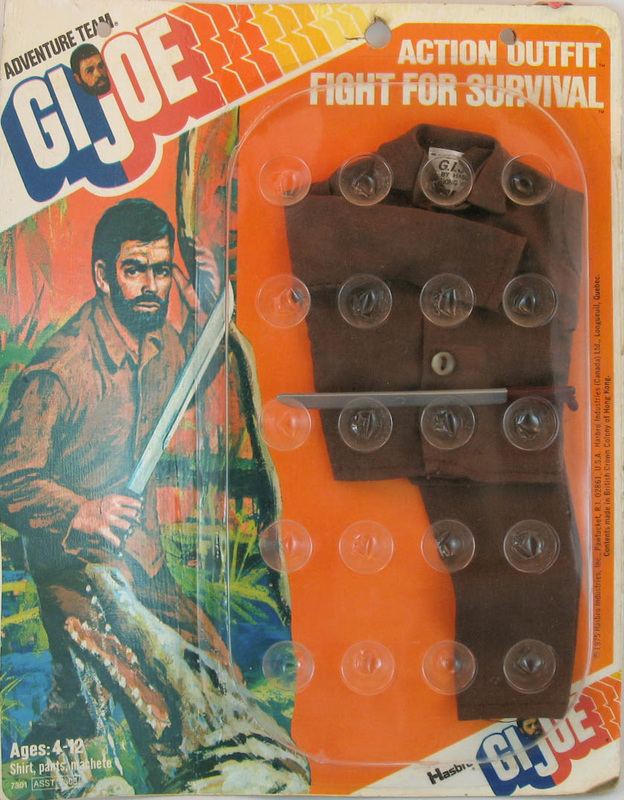 Fight for Survival (7308-3) is very different from the earlier 1969 and 1970 sets of the same name. 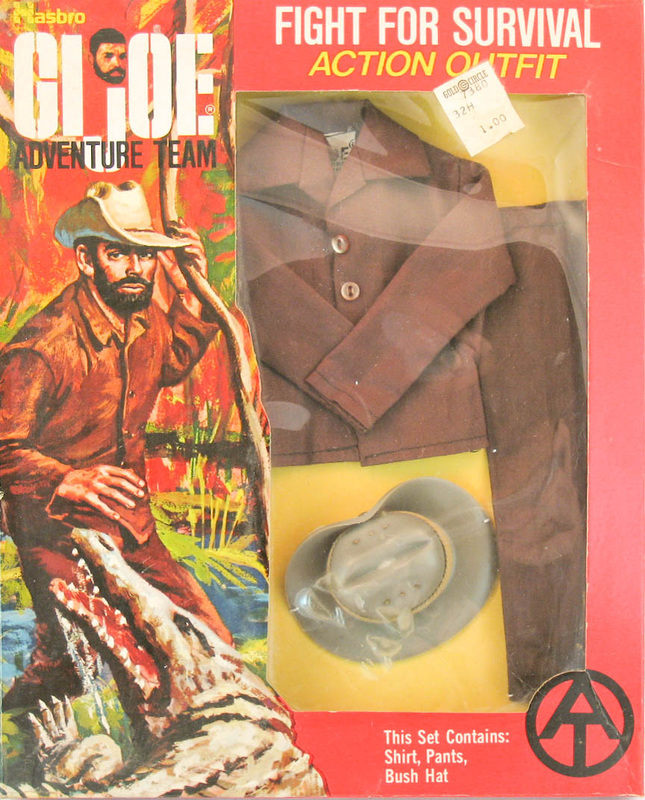 This set was first released in a 1973 small window box (below) and included a bush hat along with the brown uniform. In 1974 it was released again with the hat dropped and a machete included. The card was released again with an orange back (bottom) in 1975-76 at the end of the line. Note how the original card art was repainted to remove the hat and add the machete.